Eyes are often quoted as the gateway into the soul, but some of the critters on this list are quite frankly creepy to enter a staring stand-off with! Variation in the animal kingdom often presents fascinating quirks and the wonderful world of animal optics is no exception. Peer into their souls and be transfixed! Goats. Goats aren't particularly frightening you may suggest, but those freaky square eyes beg to differ. Many animals have rectangular pupils, but typically will also have a darker iris making it far less noticeable. This adaptation allegedly allows the goat to see 320° and have no frontal blind-spot. 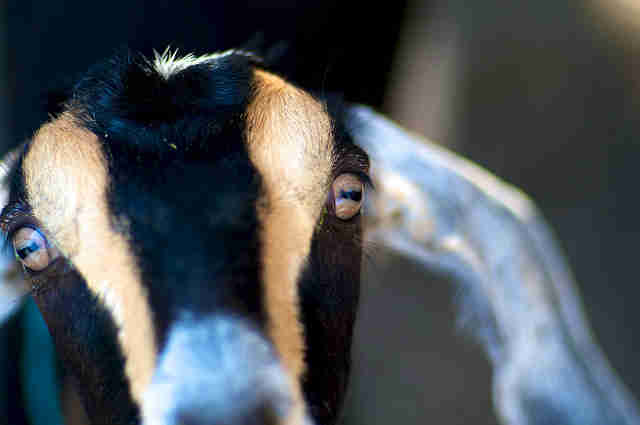 Good luck sneaking up on a goat. Dive in, the water's fine! Oh wait, there's a shark with a face shaped like a hammer. 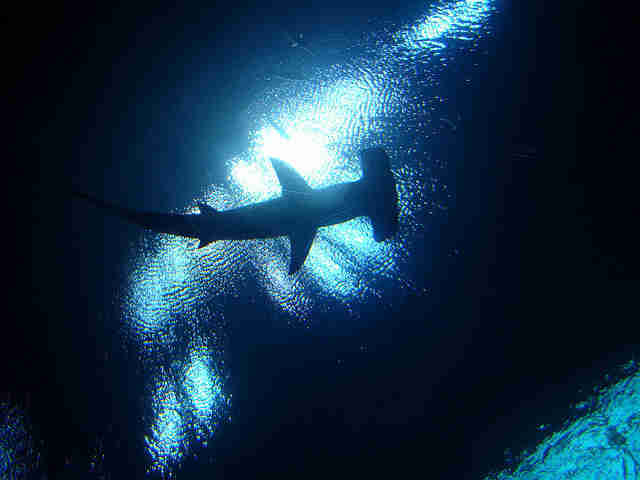 The hammerhead shark's unusual adaptation known as a cephalofoil has sparked much debate among scientists regarding its advantages and uses. One thing is for sure though, its place on this list of interesting animal eyes. The gentle hoot of an owl masks their savage intent to scope, with their binocular vision, an unsuspecting rodent in the dead of night. 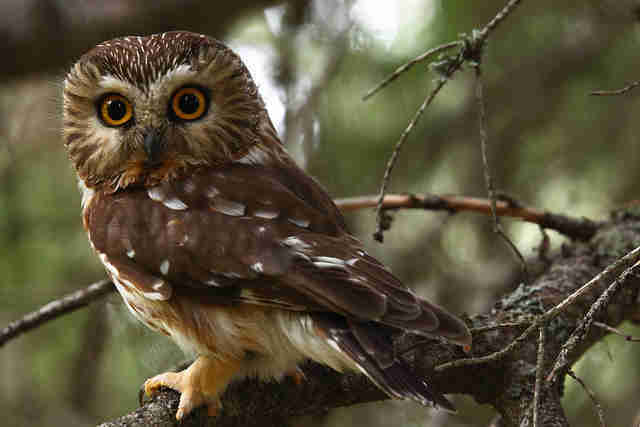 Their adaptations to hunting at night aren't limited to their incredible eyesight: long and serrated feathers allow the owl to fly almost silently, and crushingly powerful talons force the life from anything it grasps. Another oddly shaped pupil entry here with cuttlefish. A "W" shaped pupil and ability to see the polarization of light instead of color as humans see light, is a fascinating divergent optical system. They have no blind spot and their eyes are developed while still in the egg. 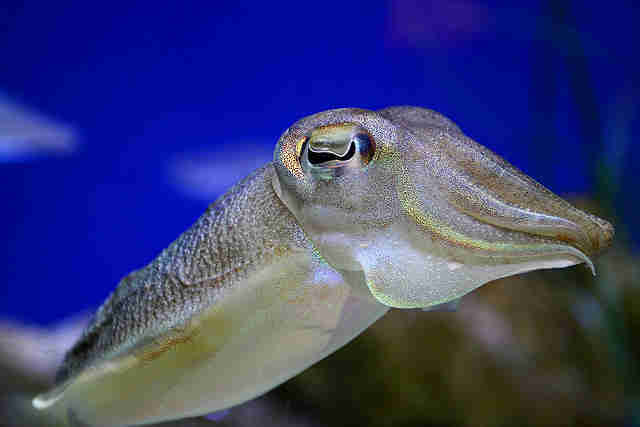 Studies have shown that cuttlefish may prefer prey observed prior to birth pre-emptively planning meal time. 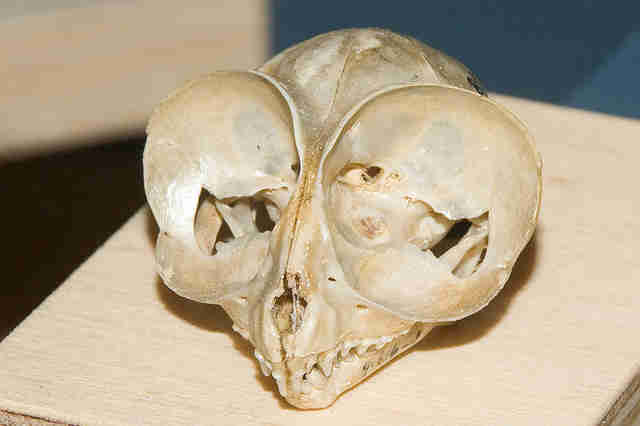 Tarsiers win the prize for largest eyes in relation to body mass. These furry long-limbed primates hunt mostly insects while foraging in the forest canopy. Their eyes are in fact as large as their brain, requiring the tarsier to adapt in such a way as to be able to hold their weighty head completely still while waiting for a bug to stroll on by. Arguably the most adept flying creature in the world, dragonflies also possess some incredible eyes. 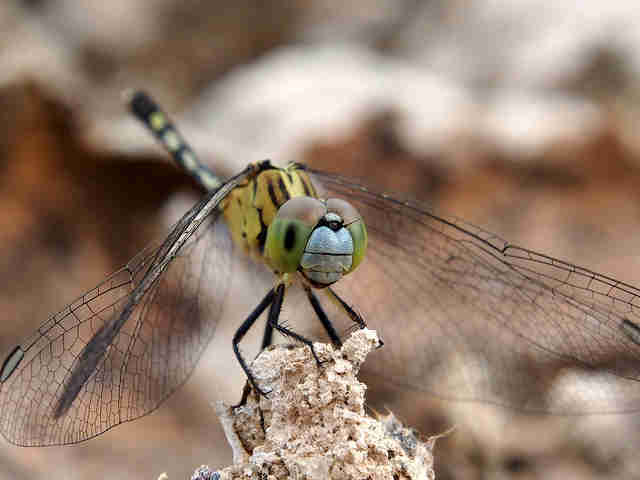 Dragonflies are predator insects, hunting other insects and devouring them with their surprisingly strong jaws. Their eyes grant them a 360° view and contain five times the amount of eye facets of any other insect. Each one of the 30,000 eye facets creates its own image which is then compiled by the dragonfly's brain to grant incredible vision. This next entry is the definition of goggle-eyed! 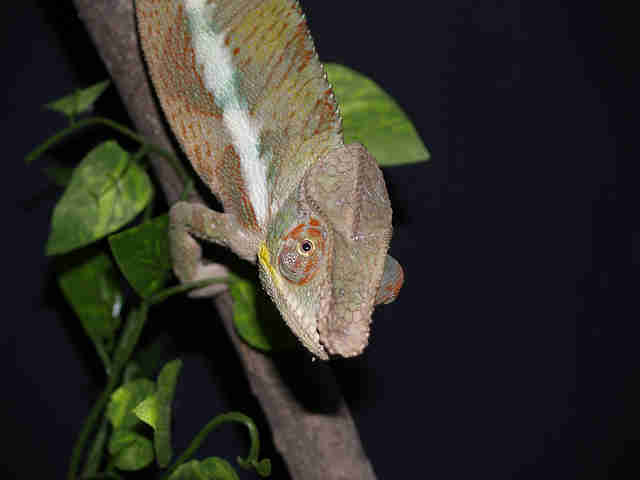 Chameleon's eyes are capable of moving independently of each other, monocular depth perception and seeing ultraviolet light. Amongst reptiles they have some of the best vision around and can view two entirely spate images at the same time while scoping their surrounding in a full 360° arc. 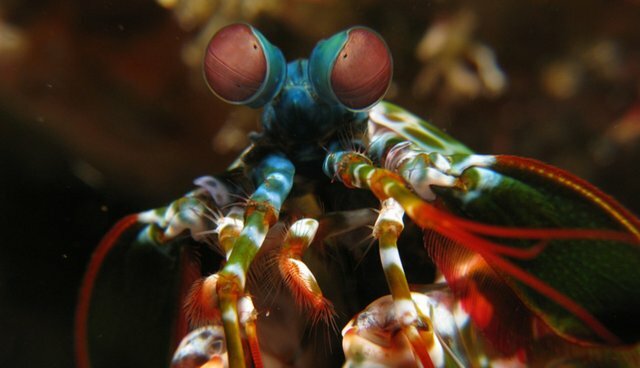 Here we have the most ocularly spectacular creature known to man: the mantis shrimp. Forget binocular vision, these guys have trinocular vision, where three divisions of the eye comprise its depth perception. 12 photoreceptor pigments for light and four for color filtering grant the mantis shrimp impeccable vision, with some species capable of seeing all six types of polarization of light. All these adaptations are impressive, but not all have a clearly identified evolutionary precursor. 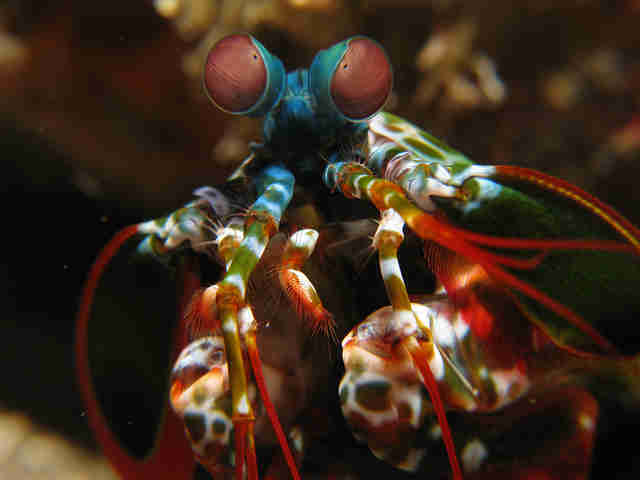 The precision required during the mantis shrimp's hunting technique could be a factor, as could be the fluorescence displayed when courting. Many mysteries are yet to be revealed regarding this visually magnificent creature. By Jack Plumb Jack Plumb is an online journalism intern at Frontier, an international non-profit volunteering NGO. Frontier has over 300 dedicated conservation and community development projects as well as plenty of inspiring gap year ideas to help make your time out meaningful. For more information on all the opportunities available please visit www.frontier.ac.uk. Check out Frontier's blog ‘Into the Wild' where you can read more articles like this! Happy reading! Get more from us on social media with Facebook, Twitter, and Pinterest. See more from volunteers on YouTube, Flickr and Instagram #FrontierVolunteer.